It's and we would like to welcome you to the Salt Lake Tourist & Visitor Centers official online edition. 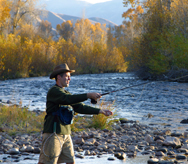 This page provides detailed information on Attractions and Things To Do when Visiting Salt Lake City. Church President Russell M. Nelson announced the pioneer-era temple will close December 29, 2019, and will remain closed for approximately four years while undergoing a major structural and seismic renovation. The temple is expected to reopen in 2024 with a public open house. The Majority of the Grounds Will Remain Open for Visitors Throughout The Renovations. 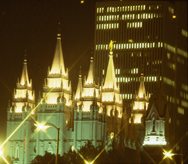 While visiting Salt Lake City, Temple Square is the heart of downtown. Also on the Square is the Tabernacle, home of the world-famous Mormon Tabernacle Choir where you can enjoy a free performance. Other spots of interest include the family history library, LDS Church Office Building, Museum of Church History and Art, LDS Conference Center, Joseph Smith Memorial Building and the Lion House. 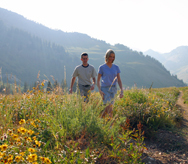 Just minutes from Salt Lake you can enjoy biking, hiking, horseback riding, alpine slides, and much more. Each resort has something different to offer for everyone. 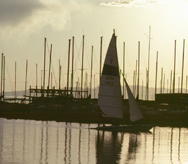 Salt Lake is also the ideal hub for excursions throughout the West. Fifteen national parks and monuments are within a one-day drive from Salt Lake, twelve within Utah's borders. The toughest decision is deciding which one to visit! Did you know the first department store in the United States opened for business right here in Salt Lake City in 1868? Since then shopping centers have flourished, particularly with the opening of the open-air, contemporary Gateway mall, which features outdoor dining and entertainment. Several specialty boutiques and antique shops are all easily accessible. So much to do, so little time! Your family will run out of steam before you run out of options. Hogle Zoo, Clark Plantaterium, Lagoon Amusement Park, and The Living Planet Aquarium are just a few ways to get started. Or inquire about family discount packages to see the Salt Lake Bee's, our triple AAA minor league baseball team at Smith's Ballpark. 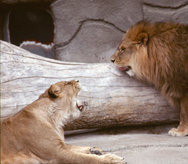 The Hogle Zoo is another fun family activity in Salt Lake City. They have many different animals, shows and exhibits. It is an affordable option, as zoo admission prices are usually low to accommodate families. 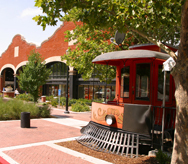 The Zoo offers train rides, food and an excellent gift shop. Another attraction featuring animals is the Tracy Aviary. They have over 400 different birds, many of which are rare or endangered species. Their live bird shows are interactive and so informative, yet never boring, even for small children. Again, admission fees are priced affordably for families. If you are interested in history and museums, Salt Lake offers some wonderful choices. One of these is Wheeler Historic Farm. It is open from dawn to dusk every day, so if you have early risers, this is the activity fir them! This historic farm is dedicated to the history of Utah farming and agriculture. Attractions include wagon rides, hands-on farm activities, tours, demonstrations, exhibits, etc. There are activities for every season. The Children's Museum of Utah offers the most hands-on and kid-friendly things to do in one place. This is perfect for an afternoon of inclement weather. For a few dollars per person, kids can discover activities about animals, colors, size, transportation, food etc. In this museum, everything is made to be touched by little hands! Another excellent museum for Utah culture and history is the Museum Of Church History and Art. You can step inside a real pioneer wagon along with examining many artifacts, galleries and kid-friendly displays. The Mormon religion has a rich history for which Utah is well known. This is an excellent way to find out more about the past and present of this state. The Clark Planetarium offers the best light/music and star shows around. There are shows for every taste, both adult and child. It offers shows about the forces of nature, different planets and also includes movies in the IMAX format. The shows are generally between 50 and 60 minutes long, and they suggest that you get there at last 20 minutes beforehand. There are many fun and interesting exhibits to enjoy while you wait. Where to Rent Horses and go Horseback Riding in Utah? Taking a scenic drive around the beautiful Wasatch Mountains is another way to spend your time in Salt Lake City. There are several options to choose from, depending on how much time you have. This ride is 14-mile long (one way) and offers mountain scenery similar to its neighboring canyon, Little Cottonwood. 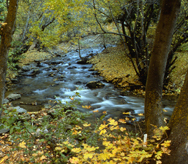 As in Little Cottonwood, there are picnic areas and campgrounds and access to numerous hiking trails. The ski resorts of Solitude and Brighton are at the top of the canyon. In summer and fall only, a maintained dirt road (Guardsman Pass Road) can be taken over the top of the mountains to Park City. Estimated time is 45 minutes. Located approximately 45 minutes from downtown, Antelope Island is truly one of Utah's hidden treasures. It is accessible by boat or by driving a seven-mile paved causeway. The island is 28,022 acres with an elevation range from 4200 ft. to 6596 ft. 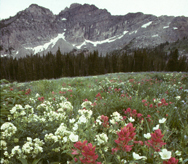 There you will find an abundance of wildlife such as bison, deer, elk, along with several birds and wildflowers. On the island there is nearly 40 miles of hiking, biking, horseback trails, picnic areas and camping. At night the city views are beautiful. This historic route follows the original path of the Donner-Reed Expedition of 1846. It ascends through Emigration Canyon east of Salt Lake City and then descends to Highway 65. It ends at the 680-acre East Canyon Reservoir, which is popular for boating, fishing, water skiing, and swimming. It is closed in the winter months. Estimated time is 1 hour. Salt Lake City was the proud host of the 2002 Winter Olympics and the spirit still lives on. Visit the Olympic Cauldron Park, which was the site of Opening and Closing Ceremonies. The park features the cauldron itself, the striking Hoberman Arch, a visitor center, and a theater. Panels tell the story of the 17 days of the games. While in the Salt Lake, you can view "The Fastest Ice On Earth" at our Utah Olympic Oval in the Salt Lake Valley. If you are going to visit Utah during the winter months, the single best thing to do is go skiing! There are 6 resorts within 30-45 minutes of Salt Lake City. They offer skiing for all skill levels, including both group and private lessons for children and adults if you are a beginner. Utah is known for its great snow! During the 2002 Winter Olympics, most of the resorts in Utah hosted winter games. Their facilities are top of the line and very user-friendly! Salt Lake City is definitely a four-season destination. Summers can be very hot and winters can be extremely cold, so dress accordingly! The Utah Museum of Fine Arts (UMFA) at the University of Utah is your destination for global visual arts. From ancient objects to the latest contemporary works, the UMFA galleries-newly reimagined and remodeled-showcase the breadth and depth of human history and creativity. The Museum's collection of nearly 20,000 original works of art is the most dynamic in the region. As the fine arts museum for both the state and the University, the UMFA is a vibrant hub for cultural exchange among campus and community audiences. Since its inception in 1931, the Salt Lake Art Center has been an independent voice for contemporary visual art in the State and region. The center presents approximately twelve visual arts exhibitions annually, a full complement of educational programs for a general adult audience, and focused arts education programs for elementary and high school age youth, all FREE of charge. Located at 1390 East 220 South, near the University of Utah, You will enjoy your journey through the evolving world of natural and cultural sciences at the Utah Museum of Natural History. Visitors can enjoy Native American artifacts, Dinosaur displays and hands-on activities for the kids. 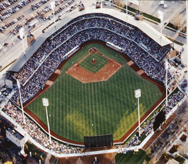 The Salt Lake Bees, California Angels AAA Baseball Team plays at Smith's Ballpark in Salt Lake City.